The overall objective of the GreenPlay project is to raise awareness among citizens through the implementation of a real time monitoring energy consumption platform and the development of a serious game. The GreenPlay project consists in raising awareness among citizens through the implementation of a real time monitoring energy consumption platform and the development of a serious game. — A serious game to raise awareness of users. The demonstration of this project will take place in three European cities and reach at least 200 homes. 3. Having electric hot water. The expected impact of the solution is to decrease by 30% the energy consumption of the testing homes. Three SMEs (EGREEN, IKA and EQY), two universities (ESTIA, BME), and two private non-profit organisations (FAIMEVI and ENERGYLAB). ESTIA (Advanced Industrial Technologies Superior School) is the Engineering School of the Chamber of Commerce and Industry of the city of Bayonne, Basque Country. ESTIA has been providing education and training for ten years, in the areas of industrial technologies. In the frame of its research activities, ESTIA Research and more precisely IKASI Innovation & Management group has been working for several years on the area of usage, eco-use and user behaviour. In this way, ESTIA Research is mainly interested on problematic regarding methods and tools development related to user behavioral changes as serious games or pedagogical game. MICA (MICrosystems and Autonomous Sensors research) group has been working for several years on the area of embedded and autonomous electronics. In this way, ESTIA Research is mainly interested in studying energy efficiency. These two groups (IKASI and MICA) will be involved in the GreenPlay project. ESTIA will also be coordinator of GreenPlay project ensuring proper management and coordination. 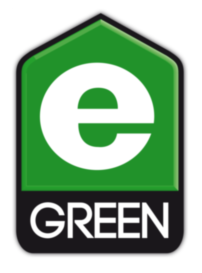 EGREEN is a SME based in Paris, France, created in 2012. Its core business is to help energy savings in buildings through a behaviour change approach. The solution developed is composed of energy sensors and a monitoring web platform to motivate people to reduce their energy consumption. Several functionalities to increase behaviour change have been implemented in the web platform (social networks, advice, saving challenges, goal follow-up …). The EGREEN approach is based on a research made by Jérémie Jean (the founder of the company) in Berkeley (US) in 2009 that focused on motivational psychology and behaviour change process in the field of energy consumption. The role of EGREEN in the project will be to ensure the overall management of the solution and will be responsible for the connections between the web platform and the remote sensors. In addition, EGREEN will contribute to the design of the energy game scenario, and will develop the smart advice generator. IKASPLAY is a company specialised in design and development of serious games, from the concept and the idea to the start-up and maintenance. The outstanding ingredient of serious games is the concept of "learning by playing". IKASPLAY looks for new ways to learn using information and communication technologies to help with teaching, training and spreading awareness. IKASPLAY develop innovative solutions, adapted to clients' needs and constraints. Moreover, their products are with high technological components to simulate real situations by means of System Dynamics. IKASPLAY, within the GreenPlay project, will bring its expertise on gamification processes, design of serious game and new technologies such as augmented reality. FAIMEVI is a private and non-profit Foundation. It was established in May 2004 with the help of the European Union through the Save II Project and as a result of a consensus of several public and private entities. The main objective of the agency is to promote the rational use of the energy resources for preserving the natural heritage and improving the life quality of citizens promoting saving policies, energy efficiency and the use of renewable energies. It was classified as of industrial interest by the order of June 9th, 2004 of the Presidency department of the Xunta de Galicia, and declared of public interest by the order of the 25th of June 2004 by the Innovation and Industry department of the Xunta de Galicia. The role of FAIMEVI will consist in the selection and recruitment of the homes that will be involved in the project. Once the testing homes have been recruited, FAIMEVI will ensure the realisation of energy audits, survey and supervision of the installation of sensors. FAIMEVI will afterwards supervise the demonstration phase in Vigo and contribute to the evaluation of the energy savings and to the elaboration of recommendations. The Budapest University of Technology and Economics (BME) is the largest technical university in Hungary. The Department of Environmental Economics was established in 1989, and since then has made great effort to meet the aim to make students familiar with environmental economic aspects of technical activities. The major research fields of the Department are environmental and regional economics, environmental evaluation, environmental management and policy, environmentally sound material and energy management, cost-effective studying of energy and climate policy, waste management and – recycling, environmental management schemes and international environmental cooperation. The role of BME will be to assist the consortium with the calculations related to energy savings throughout planning and implementation. The added value for the project will come from quantifying benefits from and energy use point of view. EUROQUALITY is a service provider established in 1997, specializing in innovation and project management. The company has representation in Paris and Bordeaux. Main activities include consultancies in innovation, policy evaluation, communication of scientific results, technology transfer, and setting-up and management of collaborative research projects. 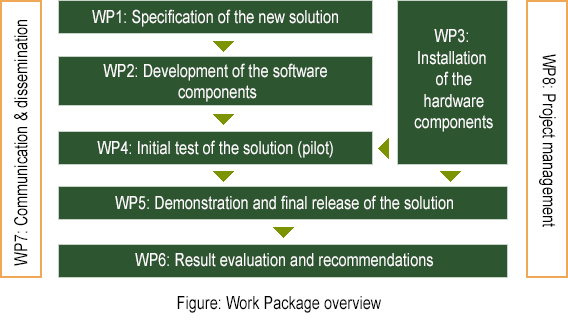 Throughout GreenPlay project, EQY will be involved in the project management by daily supporting the coordinator and in dissemination activities. ENERGYLAB is a private technology centre specialised in energy efficiency and sustainability. It is a non-profit private entity set up on 2008 as an initiative of the industry and the Regional Government. EnergyLab identifies, develops and promotes technologies, processes, products and consumption behaviours able to contribute to the improvement of the energy efficiency and sustainability through its applications in industry, domestic products, mobility and buildings. A serious game is a game designed for a purpose other than pure entertainment. They are an innovative training tool to help developing different kind of skills. The fast-feedback and the freedom of a Serious Game encourage learners to increase the number of trials and experiences while transforming their potential and skills into knowledge. A serious game adds value beyond entertainment. This kind of games are associated to the education and learning of new concepts and skills, but are also used for increasing awareness around an issue. Serious games can be used among others to raise awareness of issues related to energy-use by getting players more or less emotionally involved, changing their behaviors. The Serious Game can engage players and a motivating script will increase the results of awareness actions. Greenplay Game has the goal of raising awareness about energy consumption to encourage players to consume less energy. Players can introduce some of their house energy consumption parameters to go on in the game. These data will have a direct impact on the course of the game allowing the players to buy items or get bonuses. The game is scheduled for late 2015. Greenplay Game will be multiplatform. Players can use it from pc, mobile and tablets, so that players will be able to participate from anywhere whenever you want. If people want to participate in the experiment, they can do it in two ways: with or without sensors that monitor the energy use at home. Without the sensors, players will only be able to play with people who do not have them. As playing with sensors, the game will also serve players to raise awareness about the importance of reducing energy consumption, but it will lack personalized help and tips. If players have the sensors, the data obtained will have a direct impact on the future of the game. Reduce energy consumption at home to move faster and win the game! © 2015, GreenPlay Project. All rights reserved.